Tension between training for life and living to train. Am I preparing, or just doing? When does preparation give way to just doing? 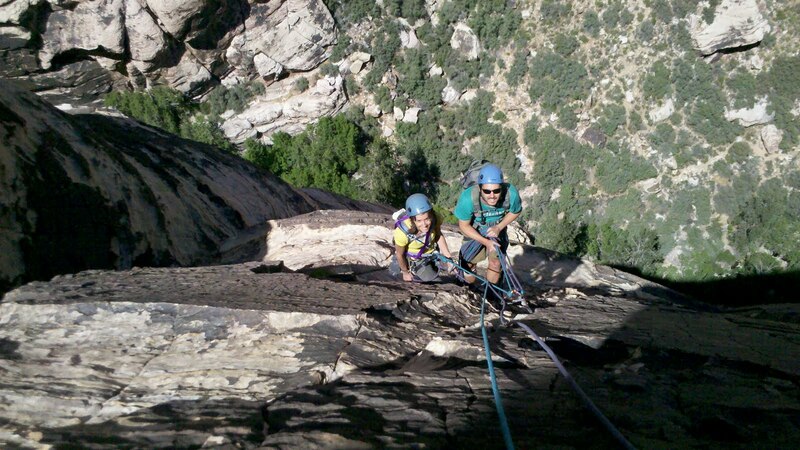 All this comes to mind because spring means renewing the skills, fitness and head-space for rock climbing. Mountain sports come in seasons. Obvious, right? Mainly, ski season, and climbing season. Fitness and preparation for alpine climbing, backcountry skiing and ice climbing seems to stay real all year-round. Or, in other words, little specific preparation is required to be able to step into one of those venues at any time. But rock climbing isn't so "general" in its demands. For me anyway. To function in steep rocky environments I need focused preparation on a seasonal basis. Each year I improve as compared to the last, but there is a parallel improvement in performance through the season. And I am tackling the early part of the rock-climbing curve right now. Fortunately, I have scored a schedule that allows an immersion course in climbing re-entry. I spent 5 days in Red Rock near Vegas, then 4 days in Idyllwild, then a day and a half in Joshua Tree. 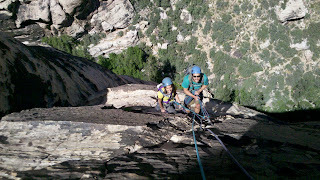 World class rock climbing, excellent partners, the distraction-free atmosphere of destination, and motivation. The planets, so far, are aligning for a sweet climbing season!